LAFAYETTE, Colo. - With a well-established pool of premier teams slated to compete at this year's RugbyTown Sevens tournament in Glendale, Colorado, the returning addition of the AIG Men's Collegiate All-American Sevens squad bolsters the elite field. While the top collegiate men's sevens players bring an all-star mentality to the pitch, head coach Steve Lewis eagerly awaits the team's showing against the other prominent clubs, "RugbyTown Sevens in Glendale is a top-notch tournament and I am looking forward to seeing how the college game's top players fare against some of the tasty domestic and international opposition." said Lewis. 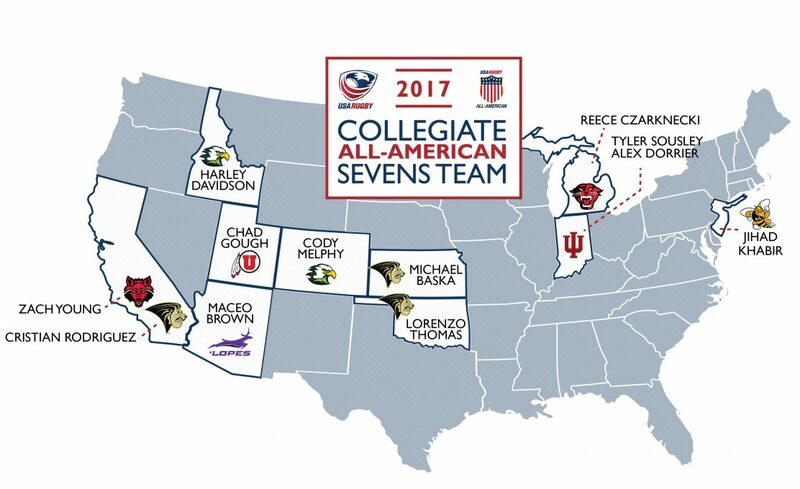 In years past, the Collegiate All-American Sevens group has been a benchmark for players on the Eagles National Team. 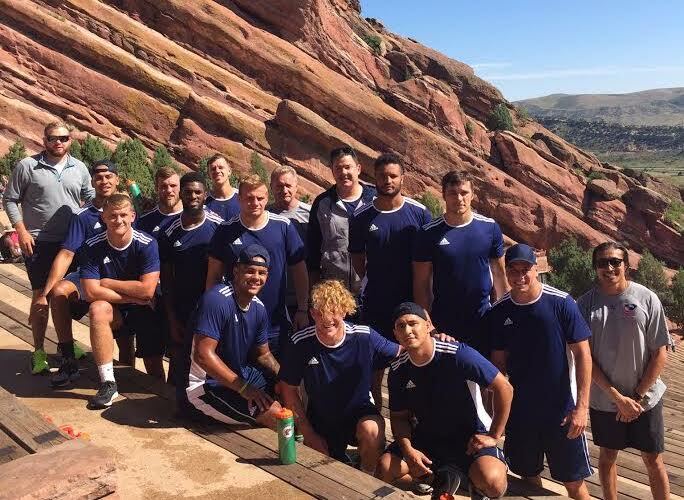 Since assembling on Sunday, just under a week prior to kick off, "...the team has had solid focused practices, including a bit of an altitude check at Red Rocks..." added Lewis. Coach and team look to be taking full advantage of the unique elements here in Colorado. Leveraged with a $10,000 purse, the annual tournament enters its 6th year with 20 domestic and international clubs, including a select group of players from the 2016 Rio Olympics gold medal-winning, Viti Barbarians of Fiji. Grouped into four pools, the All-Americans are scheduled to compete in Pool C with Atavus All-Stars, Canada Maple Leafs, Fiji Selects and Ramblin' Jesters of the UK. After pool play, teams are ranked by results and entered into bracket-style competition for a run at the title. Lewis' 2017 squad has a goal in sight as they battle towards their first RugbyTown Sevens Cup Championship since 2013. "We have pace and skill aplenty," Lewis continued, "and are working hard to gel as a group prior to this weekend's competition." RugbyTown Sevens kicks off this Friday, August 25 and competes through Sunday, August 27 at Infinity Park in Glendale, CO. Tickets can be purchased online. For fans not able to attend the event, LIVE coverage of every match is available on The Rugby Channel.